Selling online has become a very popular business option for many people. It serves as your advertisement, your office, your store front, and/or your ticket outlet – and it’s open for business virtually anywhere on the planet, 24 hours a day, every day. We can set you up with a hassle-free system for taking payment online for physical goods, virtual downloads, online class registration, setting up pay-in-advance appointments… the options for e-commerce are virtually limitless. If you want to be able to set up online transactions, but don’t quite know how, come and talk to us and we’ll make it happen. 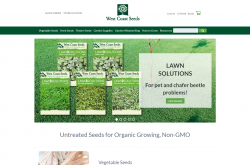 West Coast Seeds came to us in need of a template rebuild in a short time frame in order to get their e-commerce site page load speeds under control during their busy season. We were able to accommodate their short time frame and deliver a completely rebuilt, faster template, bringing their page load to under 2 seconds DCL (DOM Content Loaded) time, a time savings of over 20 seconds per page load. In order to further speed up their site we replaced their use of Visual Composer with in house functionality, custom built to their specifications, and were able to trim out many unnecessary page slowing plugins by replacing them with bespoke functionality. 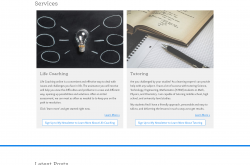 Learn a Little Bit More is designed and built to be a online platform where Tom Thomas can connect, support, and assist people to overcome obstacles in study and life online with ease. This website features: public & private content, membership payment methods, private media exchange, private message exchange, user specific content, and integration with social media. 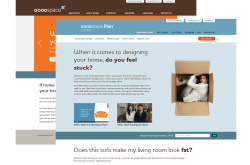 Apothekari is an e-commerce site that requested for us to rebuild and update upon their current design. It features the e-commerce platform, woocommerce, user-submitted testimonials, multiple slideshows, gravity forms integration, and a reward points system. The rewards system features the ability to allow users to obtain points when sharing on social media platforms and referring a friend after their first purchase. 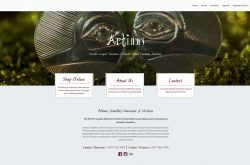 With Artinas Jewellery, we designed and built their site to deal with a large inventory of products and the challenges that grow from managing such a database. When they decided to migrate to an e-commerce option Artinas Jewellery came to us for a redesign and development. We took advantage of their large inventory and were able to import their existing data into WooCommerce while adding features like online and in store Gift Cards along the way. With site wide HTTPS their customer’s data is secure, and Payfirma integration handles payment processing. We designed and built a responsive theme with an emphasis on product management for Olive B Designs. The built in e commerce functionality allows the site to respond fluidly to product availability and the creation of new collections of jewellery. 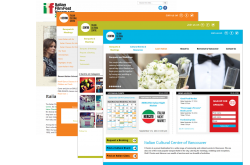 The largely monochrome theme lets the images take center stage, and custom post types allow the easy management of promotional materials and press clippings. 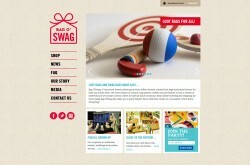 An e-commerce site with a responsive mobile-ready theme. The clients needed a storefront for their goody bags that was easy to navigate, visually appealing, and free from distractions. 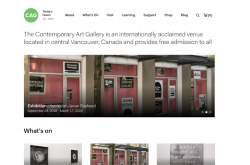 With the WordPress CMS, they can update their site to reflect the changing seasons and their customer’s needs.